The BJP MP from Kodarma Ravindra Kumar Ray is organising the Jharkhand Pravasi Diwas in the national capital on Sunday for which he has invited scores of Union Ministers. BJP MP organises 'Jharkhand Pravasi Diwas' to unite leaders in Delhi. NEW DELHI: With alleged hunger death having dented image, a BJP MP with the support of state government has set out to organise Jharkhand Pravasi Diwas in the national capital with an aim to bring political leaders cutting across party lines to work for interests of the people. Even while Jharkhand chief minister Raghubar Das is seeking to attract investments on the back of claims that state government has taken several measures to improve ease of doing business, incidents of deaths allegedly attributed to hunger had made the BJP fire-fight, with Central leaders pitching in to counter claims of denial of foodgrains to poor through PDS shops due to claims of non-linkage of Aadhar. The BJP MP from Kodarma Ravindra Kumar Ray is organising the Jharkhand Pravasi Diwas in the national capital on Sunday for which he has invited scores of Union Ministers, including Dr Harsh Vardhan, besides a number of leaders of the Congress and Opposition parties. The objective is to create a platform to bring all stakeholders at one place to work for interests of Jharkhand, said an associate of the BJP MP, who added that efforts will be to create a database of people from Jharkhand residing in the national capital. Rai has said that a committee will be formed which will work to solve the problems of the people of the state residing in the national capital. Incidentally, Jharkhand is also seen as a big source of human trafficking, with middlemen allegedly exploiting the people by luring them to the national capital with offer to provide jobs. Children are also trafficked from Jharkhand to work as child labourers in the national capital and other parts of the country. The Jharkhand Pravasi Diwas in the national capital is aiming to bring the people from the state together to bond with each other by celebrating social and cultural events, which could also create a better image for the state. Jharkhand was carved out of Bihar in 2002 when the NDA led by former Prime Minister Atal Bihari Vajpayee was in power at the Centre. However, the state had been hit by political instability since its formation. 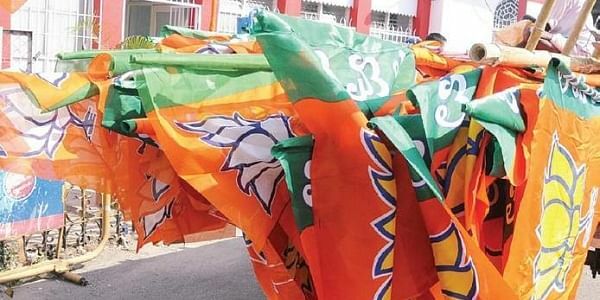 The BJP wrested power from the arch-rival Jharkhand Mukti Morcha (JMM) in 2014, while riding on the Narendra Modi wave.